This grader uses the TRISTIMULUS principle to give colour in terms of the L* a*b* values. For convenience the sample is normally presented DRY giving fast readings (3 seconds). Also for Kent Jones Colour Grade: For legacy comparisons the unit has been fitted with the handy Kent Jones Colour Grade calibration reading - as derived from the L* a*b* results. This Colour Grade reading is a quick check system with a typical accuracy of 0.5 kj units for wet sample presentation - once set to customer reference values. Dry sampling can also be used for convenience, but with a with a slightly lower accuracy. Ash as a function of colour can also be displayed. 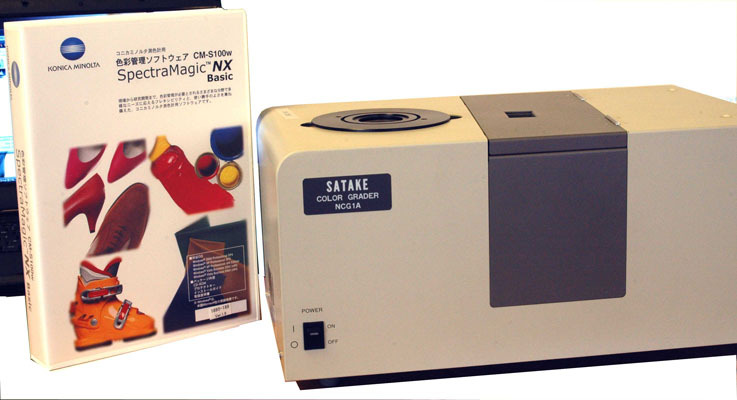 As a general purpose colour meter the NCG1A can be used on other cereal products, and also carries calibrations for general colour measurement outside of the cereal uses. 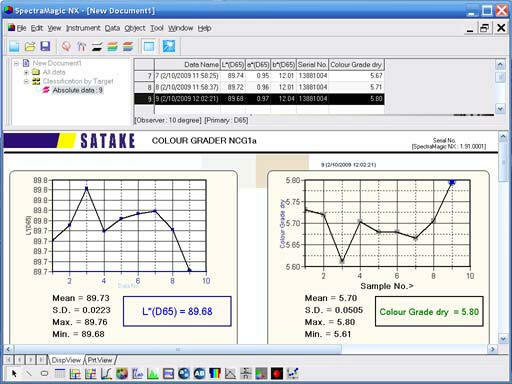 The data processing and control of the NCG1A software is operated by a PC* running under Windows XP/Vista**. The NCG1A is easy to operate and is very user friendly. *-PC Option **-Trademark of Microsoft Corp.